Up until now, civilization has done its best to put Man at the top, and Woman at the bottom of civilization’s hierarchical structure. I always attributed this to simple social zoology where the ‘alpha male’ heads the group. That may still be the primary reason, but I also see universal forces at play behind the dynamics of male-female relationships. Shifting circumstances result in evolutionary change, whether biological or cultural. That’s how humans, ants, and all, arrived at where we are today. With your deepest intuitive sense of what makes humans tick, try imagining the changes that lie ahead for us now that the age of electricity is advancing at what feels like light speed! Here are some connections I see. 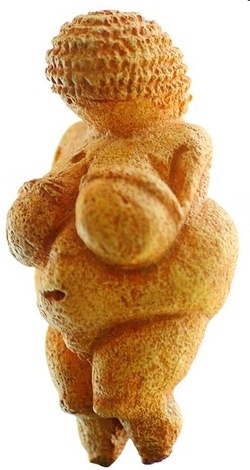 The Venus of Willendorf c. 22,000 B.C.E. 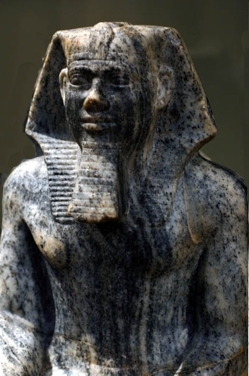 With the advent of agriculture, large populations of less intimately connected people had to pull together to make the new system work. Gone was the deep life-long bonding between individuals of the small hunter-gatherer group. That fundamental shift was just begging for trouble within agricultural society (i.e., internecine feuds). This is where a culture’s traditions can step in to help stabilize society. Traditions give less connected individuals at least an illusion of connection by sharing the same music, food, dress, religion, beliefs, etc. Most importantly, these stabilizing aspects help hold the family together. After all, family stability is the bedrock of civilization as a whole. Lose that, and it becomes every man and woman for him/her self. Chaos! Accordingly, what paradigm and tradition needs to evolve to stabilize civilization enough? Determining what paradigm most effectively holds society together requires me returning to my original morning musings: What keeps the dynamics of male-female relationships either working well, long-term and stable vs. what leads to their early demise? I suspect that when a woman feels she ‘owns’ her man lock stock and barrel she is more likely to roam, innately on the look out for a more fit fathering prospect. The same applies to when a man feels he ‘owns’ his woman. The gut feeling here: ‘Birds in the bush are worth more than one in the hand. 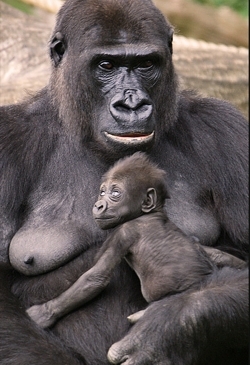 As the female is the cornerstone of primate nesting behavior, civilization inevitably evolved a paradigm that favors keeping woman in the lower, less mobile position. This, along with any ‘alpha-male’ instinct, accounts for why ‘man is king’, so to speak. The advent of industrialization and modern, market economies made the ‘man is king’ paradigm increasingly obsolete. The ‘women’s lib’ and the other social movements over the last century became inevitable. Where does humanity go from here? Who knows? I imagine that the Electric-Age is bringing about the most profound change in human circumstances since our ancestors harnessed fire; if not that, then certainly since the agricultural revolution. Chapter 51 says circumstances bring us to maturity. In a large-scale, long-term sense of that maturing process, it is easy to imagine how profoundly up in the air everything is once again. Human culture’s paradigm is changing, and with the past as our only guide means that we have no clue to what we are doing. We are like children, born into a new world stumbling along and feeling our way forward. Ironically perhaps, this leads me to picture a time when humanity will more easily appreciate the more fluid Taoist view of reality. 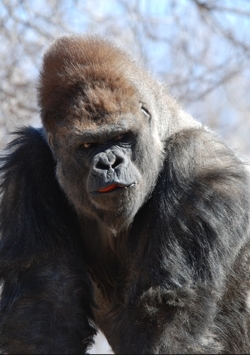 (1) See http://anthro.palomar.edu/behavior/behave_2.htm for details on primate behavior. My hypothesis rests on what constitutes a truly hierarchical animal. The evidence shows that, as primates, we are naturally more egalitarian than hierarchical. That cooperative trait accounts for much of our survival success. However, our shift to a settled agrarian life required a more hierarchical social structure of civilization.